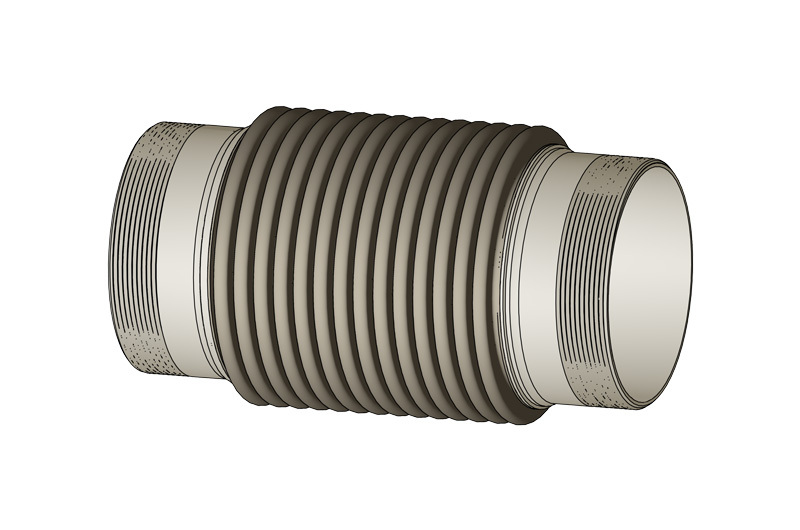 Axial expansion joints are designed to accept movements of extension and compression in the axis direction. The length of expansion joint in neutral position is called free length. The longest service life is achieved by exploiting the axial shift in both directions as extension (+Δax) and compression (-Δax). When it is known that movement will be in one direction, to utilize the complete all available movement we propose to install expansion joint under “prestress”. The expansion joint service life depends on correct installation. 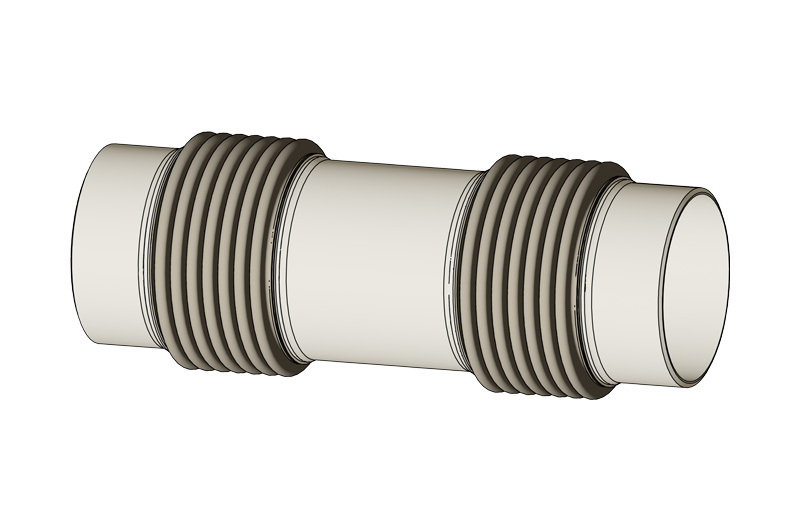 Universal expansion joint consists of two bellows connected with intermediate pipe. This expansion joint installed in exhaust systems absorbs axial and lateral heat expansions, vibrations and pressure movements. 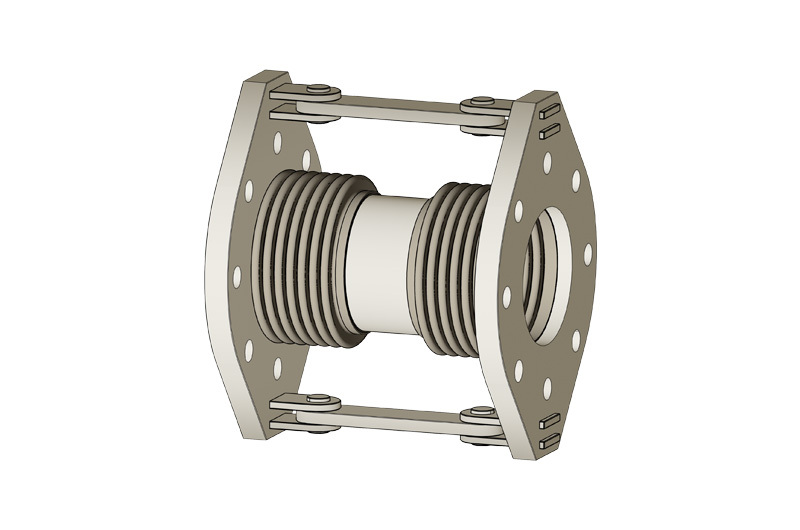 Universal expansion joints are unrestrained and they have applications in low pressure systems. 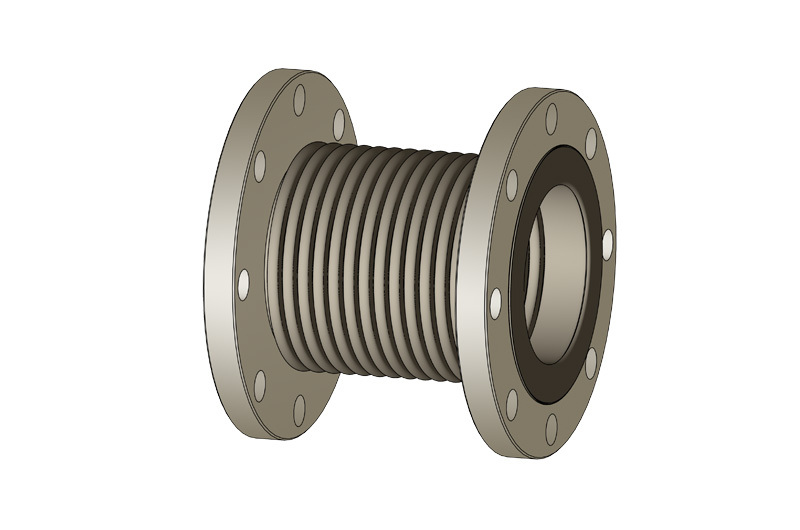 This type of expansion joint is used for reducing tension, vibrations, stress and oscillation on pipelines of pumps, motors, compressors, turbines, burners and engines. It accepts small inaccuracies between aggregates and other equipment or pipeline. The tied bars are carried on flanges by spherical washers and they absorb pressure thrust. This type of expansion joint can accept large movements in the lateral plane and can operate in all directions. 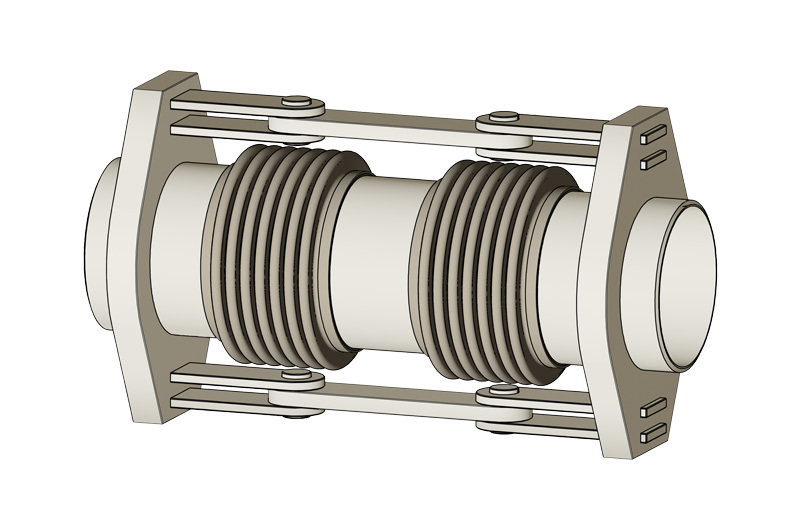 Expansion joints with two tied bars can accommodate angular movement of flanges. The restraints absorb axial reaction force produced by internal pressure. 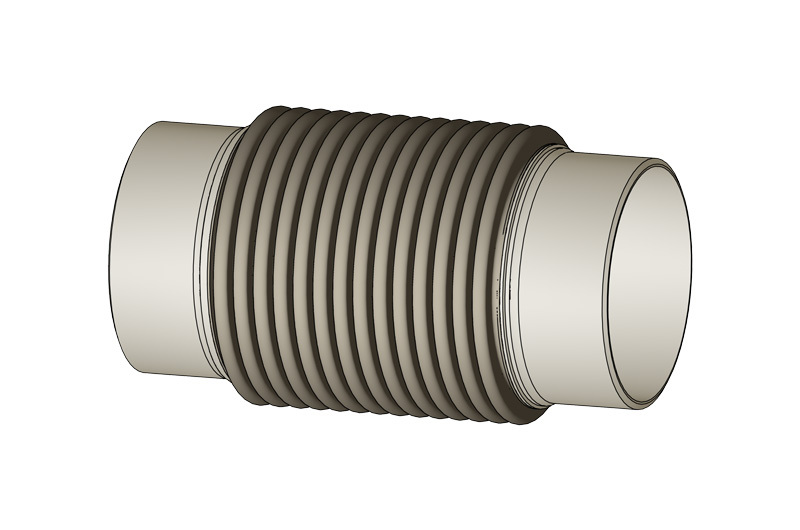 The lateral movement depends on length of intermediate pipe. 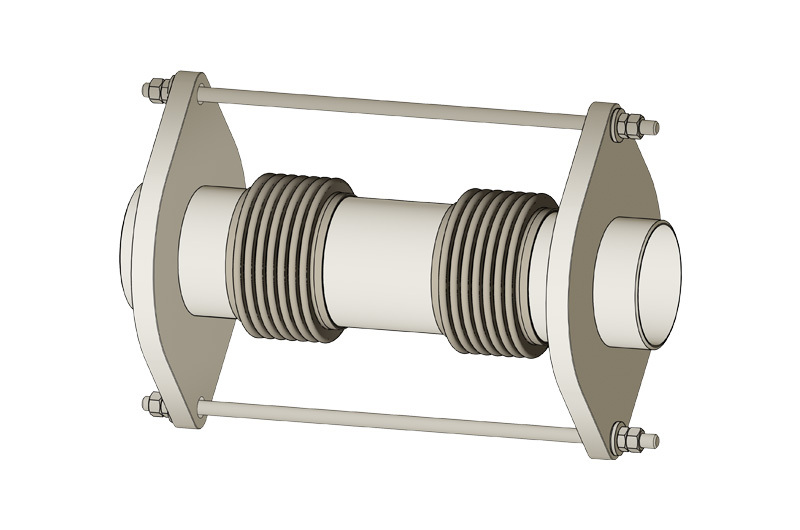 The tied bars are connected to the flanges through spherical washers. 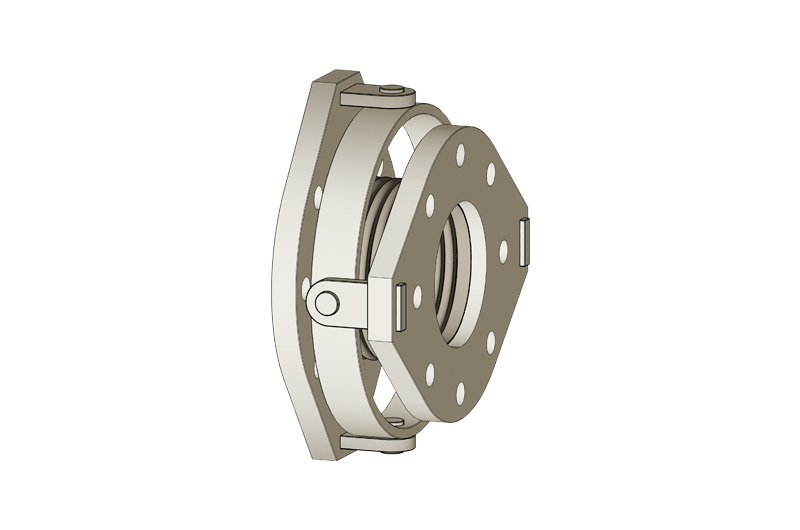 Hinged single expansion joint consists of metal bellows, flanges or pipe ends and restraint system with axis of rotation. 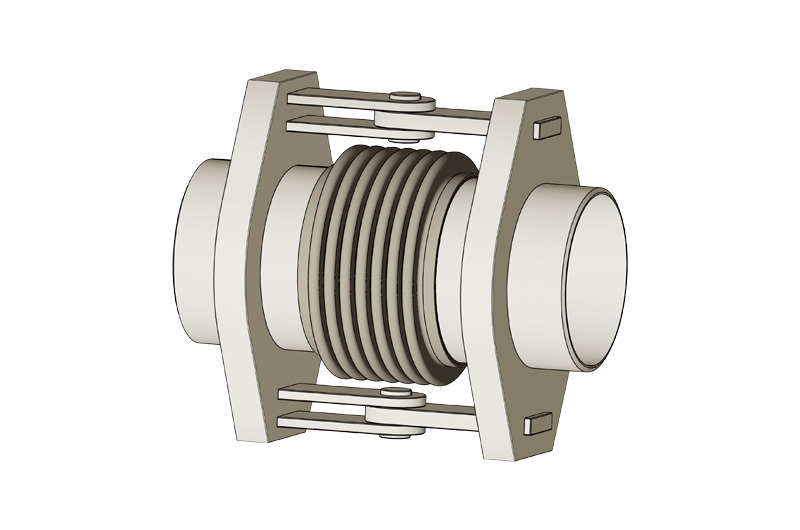 Hinged expansion joint can only accept angular movement. The pressure load produced by internal pressure is contained by hinged parts and it is not necessary to install strong fix points and robust guiding in piping system. 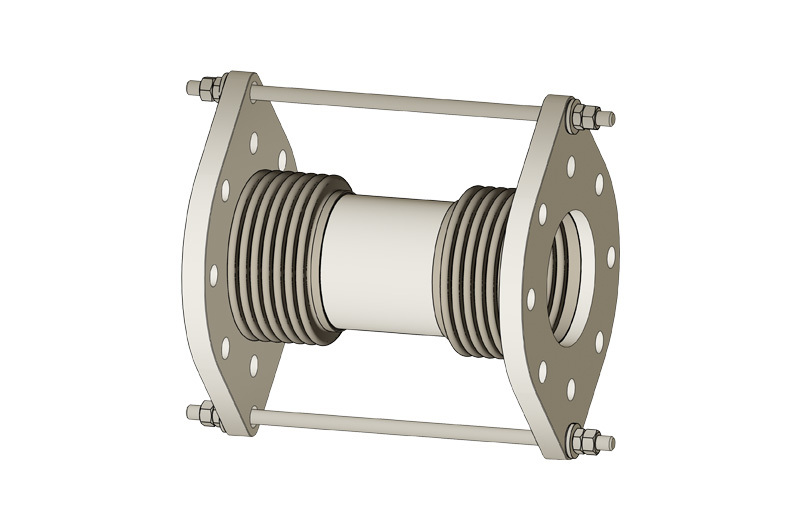 The pair of hinged expansion joints is convenient for pipeline with long movements. 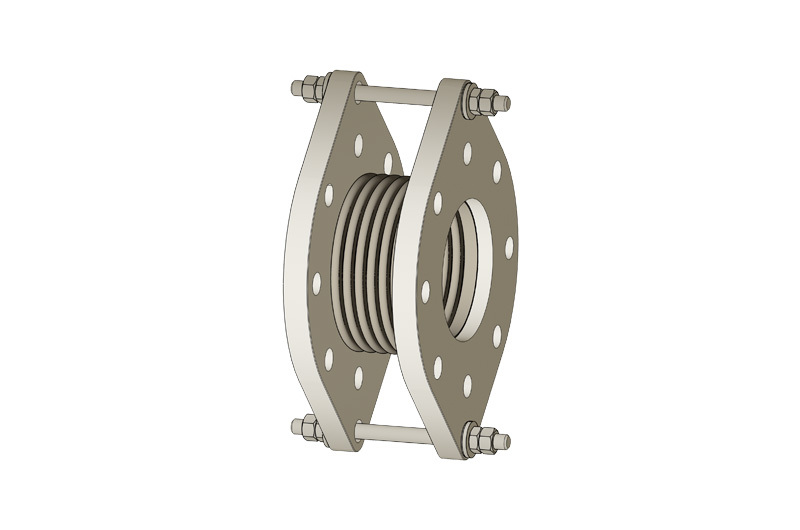 Double hinged expansion joint consists of two single hinged expansion joints connected with intermediate pipe and welded bars with double hinge restraints to absorb pressure thrust, axial force due to the effect of pressure. Application of this expansion joint is for compensating large lateral movement. 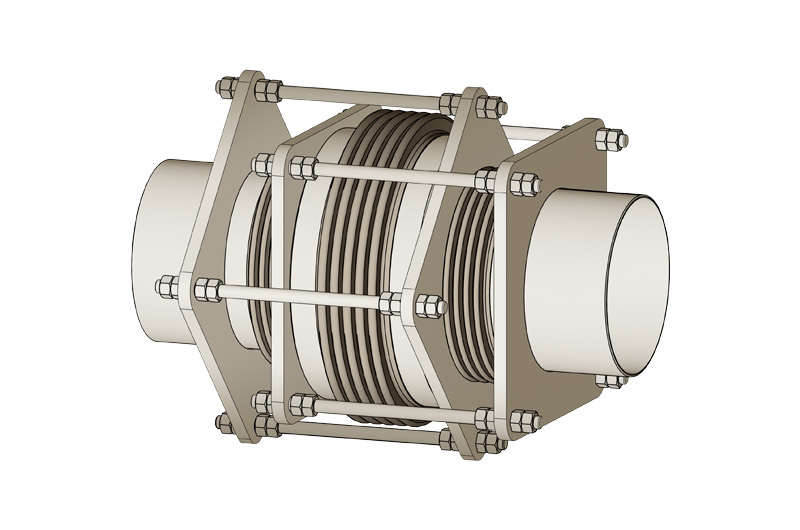 Gimbal expansion joints are designed to accept angular movement in any plane. Four hinge restraints are welded on flanges and connected on common gimbal ring. 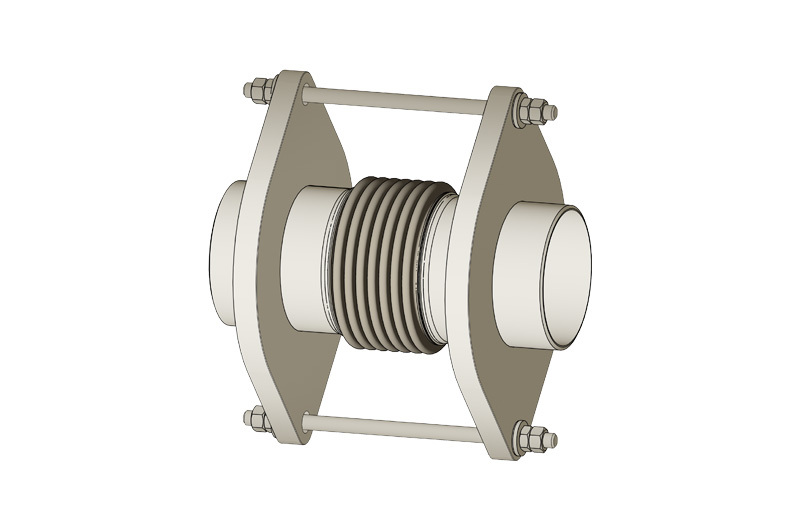 Gimbal expansion joints are usually used in pairs or in system of one pair of gimbal expansion joints plus one hinged expansion joint. Pressure balanced assembly is designed to absorb the force due to the internal pressure. 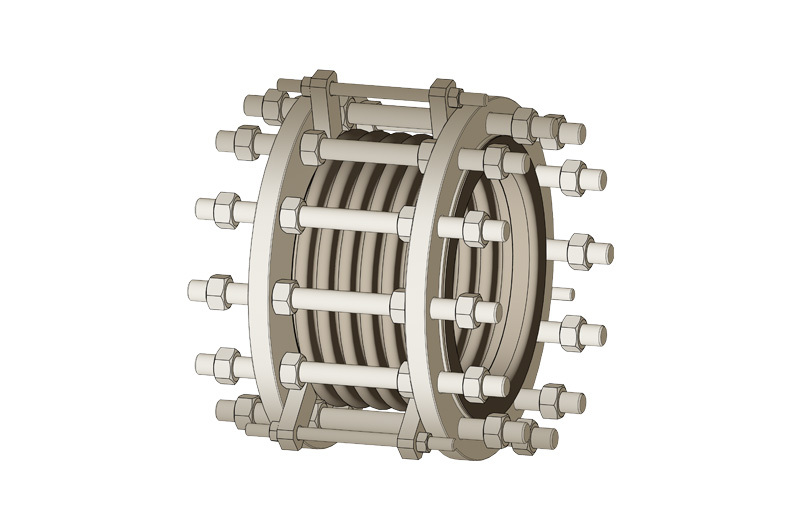 Only the low spring forces due to the bellows deflection are transferred to fix points. 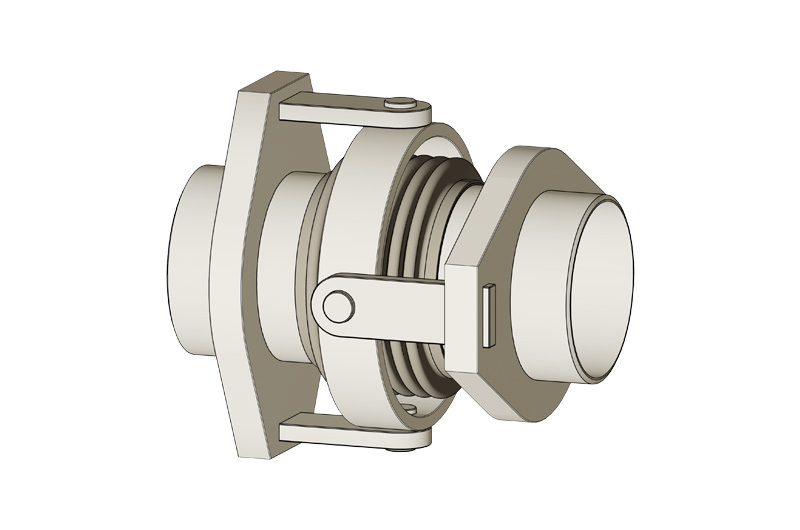 Pressure balanced elbow expansion joint is designed to accept axial and lateral movements of pipeline or equipment. 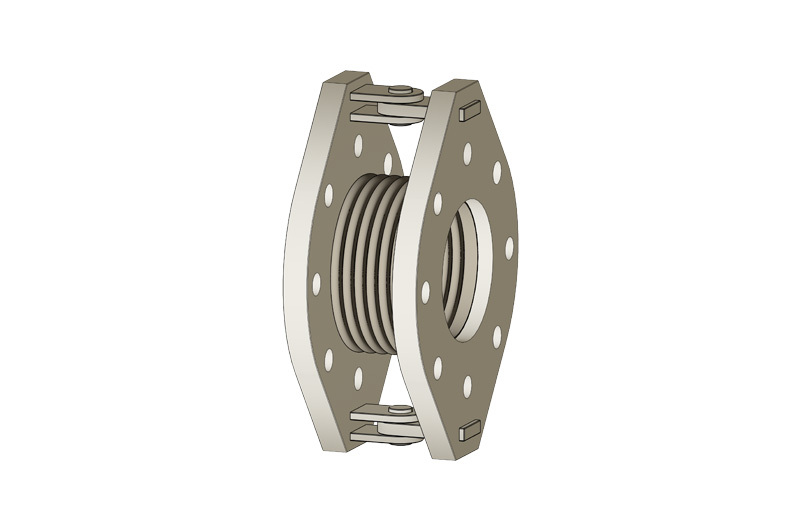 This type of expansion joint is usually used as connection on flanges of turbines, pumps or compressors where minimum forces and moments are required. Furthermore where the space to install anchor has limitation. 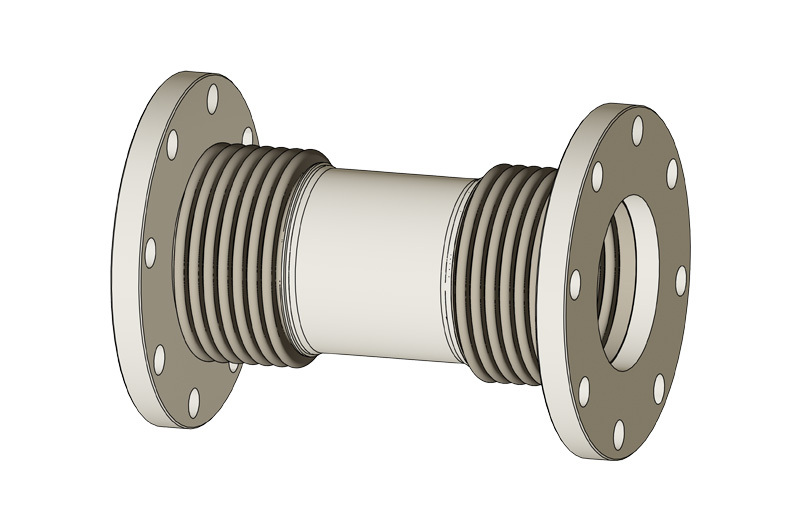 In-line pressure balanced expansion joint is designed to accept axial and lateral movements. This type of expansion joint is used between sensitive equipment where low forces and movements are required. 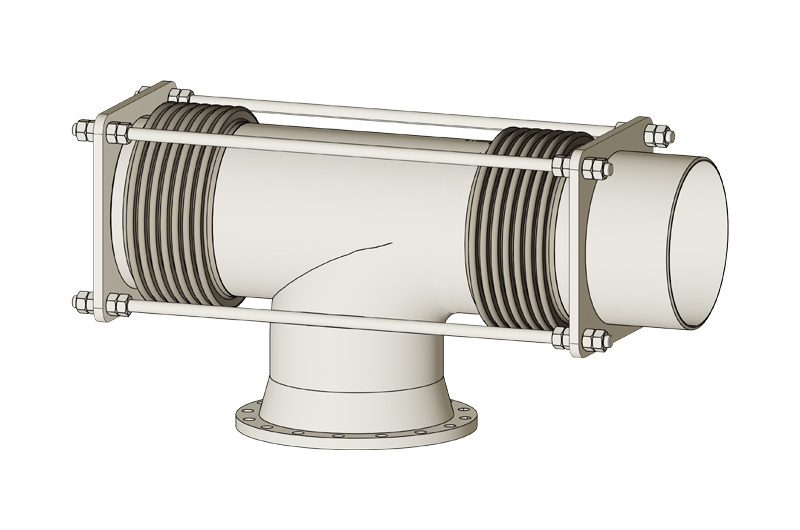 The balancing bellows (“big”) has the effective area twice that of the line bellows (“small”). These forces cause acting across the tie rods attached to the tie flanges. 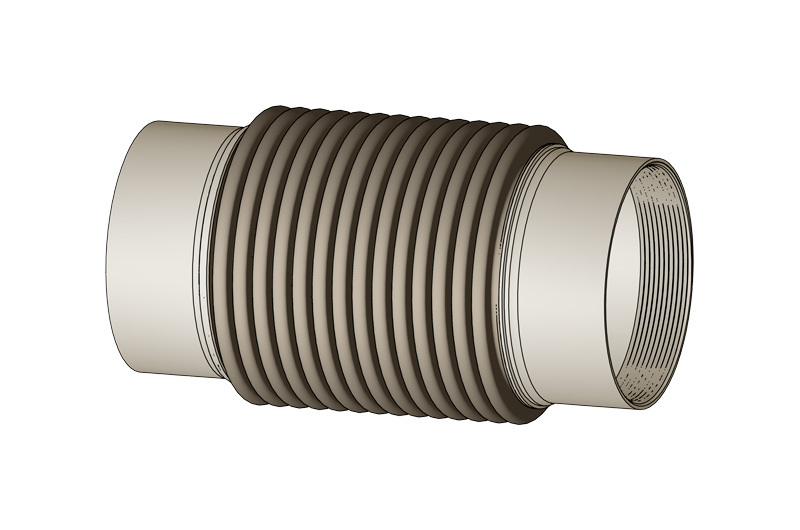 In the pipeline with high pressure and larger sizes with strong anchors at the end of straight section for mounting or demounting of valves or similar devices installing of bellows dismantling joints is recommended. 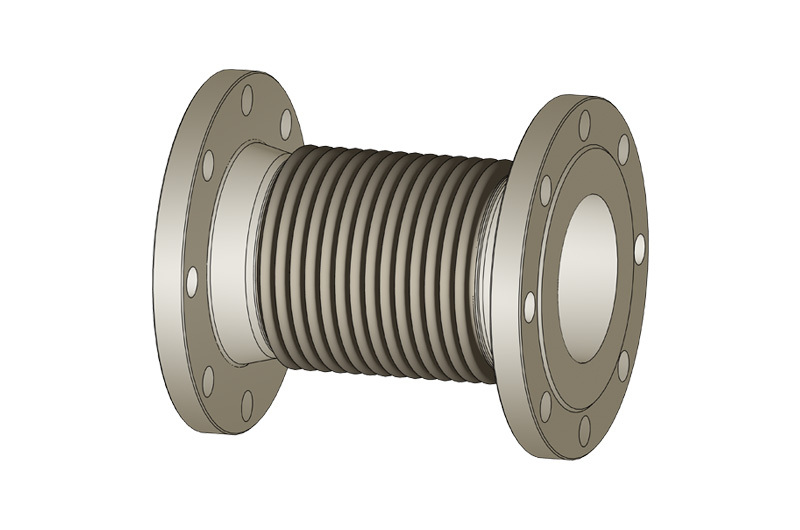 The expansion joints are equipped with restrained screws which bridge convoluted part of expansion joint and absorb the pressure thrust force. Furthermore they are equipped with compression screws. They compress the bellows in the moment of fitting or removing valves or similar equipment.